On a recent post on how to decorate vine wreaths for all occasions I posted that I made my own vine wreaths about 15 years ago. I have gotten numerous request on how to make the wreaths. Here are some simple directions. Pull wild vines and cut them off. In Wisconsin and Michigan they grow in trees. On a piece of wood about 3ft x 3ft ~ hammer in nails making a circle the size of the wreath you want to make. I hammered my board to our wooden picnic table so that it would not move while I wrapped my wreaths. Start by wrapping the wreath in and out of the nails - keep going around and around making the wreath the width that you want. When you have the size of wreath that you want weave the end into the wreath. Here is one of mine that I have had for al least 15 years. This wreath was very full so we made two extra times in & out around the wreath to hold the vines in place. Each wreath will be unique and original ~ no two are ever the same. I like a fuller wreath - some like thin. Make various sizes and shapes. 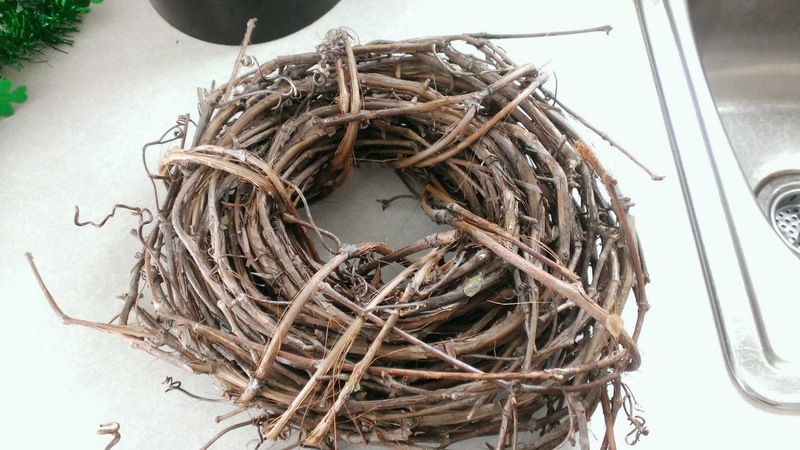 Check out my post Easy & Inexpensive Holiday Wreaths on how to make a vine wreath shine for all holidays! You make it look so easy ;) I love it and I am off to go pin this now!! That's it!? I always thought there was something more to it. I think even I can do this!! These look so pretty and surprisingly easy to make! My only question is how to use palm trees to make them in San Diego! I love natural looking crafts. Thanks for the tutorial. This is such a beautiful wreath! I'm going to try to make something like this. My husband did this not to long ago with some vines he found at my dad's house. It is a really easy process, and even my non crafty self could do it!